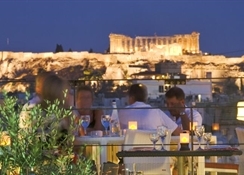 Novotel Athens is located in the city centre, within a 5-minute walk from the nearest Metro Station. 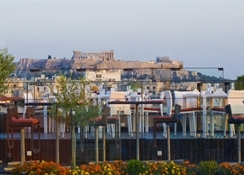 It offers elegant rooms, a rooftop swimming pool and a restaurant-bar with breathtaking views of the Acropolis. 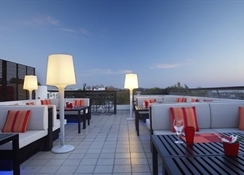 Novotel Athens offers air-conditioned rooms with work desk and a seating area with sofa bed. In-room facilities include a satellite TV, laptop-sized safe and minibar. The poolside restaurant serves international cuisine. The pool bar is equipped with comfortable arm chairs and serves refreshing drinks and snacks. 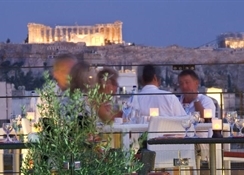 Gourmet Mediterranean and Greek cuisine is proposed by the chef at the main restaurant. Other hotel facilities include a fully equipped gym located on the 7th floor and free underground parking. The New Acropolis Museum is a 2.5 km away. The picturesque areas of Plaka and Monastiraki, located less than 2 km away, can be easily accessed by metro.